Pick up any newspaper, watch any news program or read any business magazine, and the topic of character crops up. Why is character so often discussed? And why do experts believe a strong character is vital to the long-term success, the destiny,of every individual and every organization? 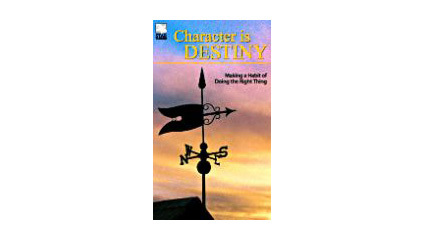 Doing the right thing, every time, is the vision of Character is Destiny, hosted by national ethics expert Russell W. Gough. Because of its universal subject matter, Character is Destiny is immediately applicable to every training program, at every level in your organization.